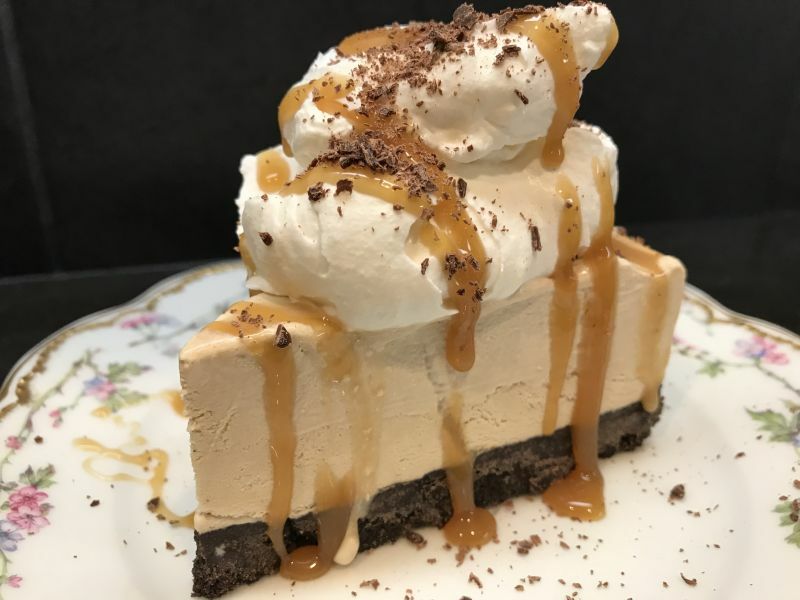 California Girl Comments: I have to share a comment with you about this week’s recipe: Caramel Macchiato Pie just so you all know what I go through week after week. I get a text from Ms. April saying OMG, just wait you wait till you try this week’s recipe! Then a picture… just a tease of what is to come. Sometimes she takes a selfie of her eating said treat just to torture me further. 😐 Seriously! It’s still 91 degrees outside and it’s the third week of October! I want to be making hot cocoa and spiced cider, but it’s just too hot! 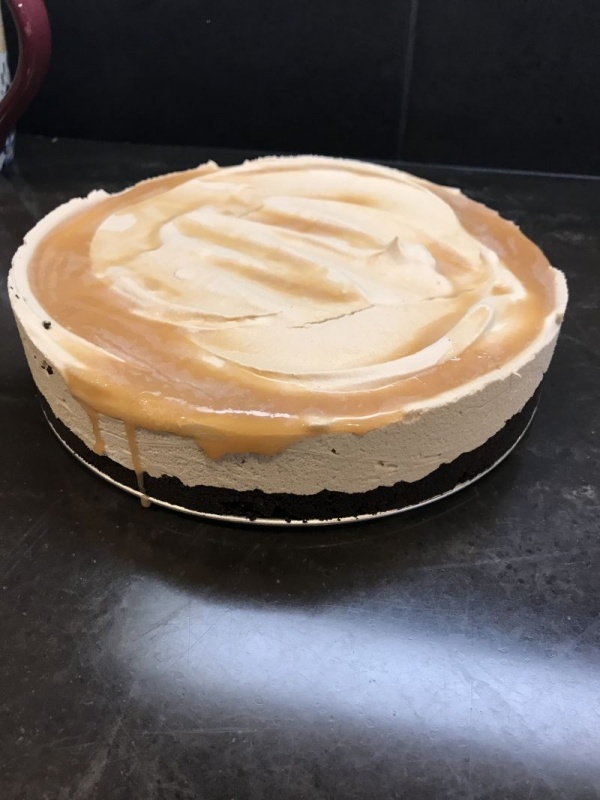 All week I have been wanting to make a chilled dessert, but nothing was coming to mind. It’s really too soon to start on the Thanksgiving and Christmas desserts…..so…..hmmmm. 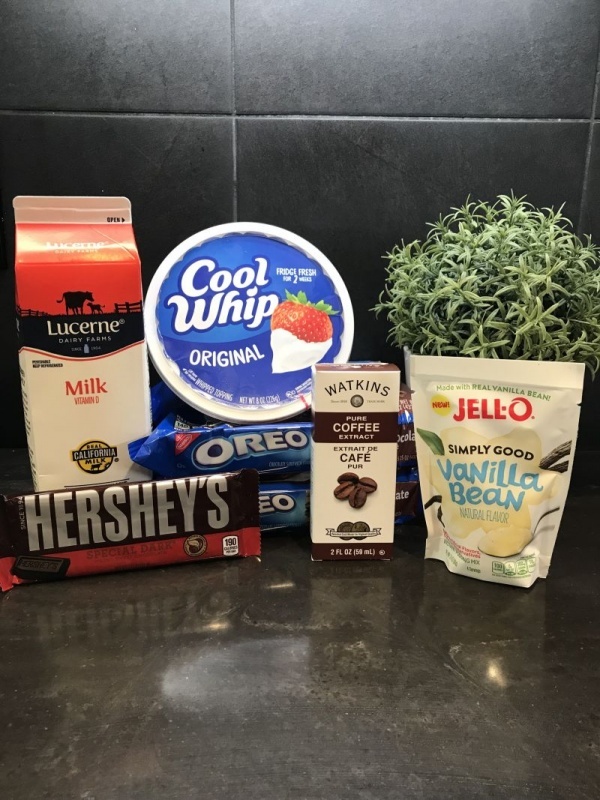 If you love the flavor of coffee, you are going to love this dessert. It uses leftover coffee, or if you purchase cold brew and keep it in the refrigerator, you can use that as well! I know California Girl is a big fan of cold brew, and always has a big bottle of it on the top shelf of the fridge! So don’t pour out that bit of leftover coffee in the pot…save it to make this yummy dessert! 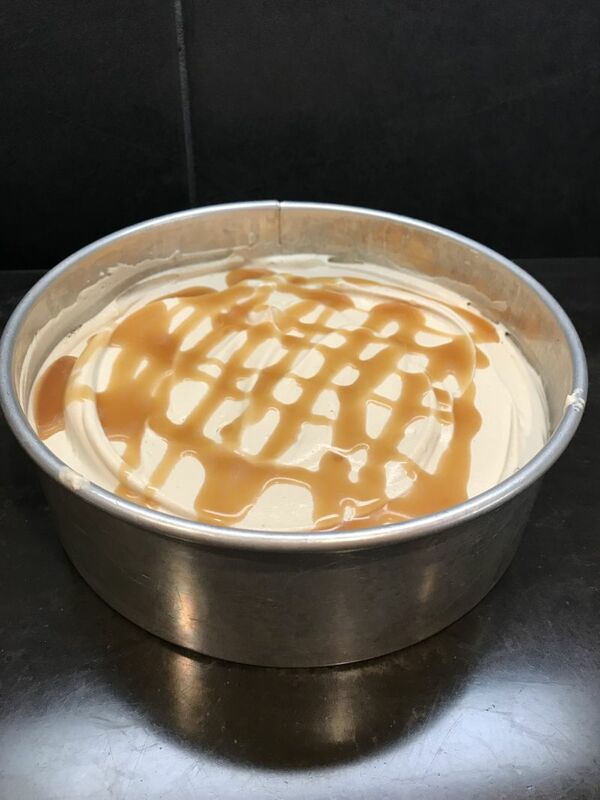 I started out with one idea I had in my head, and before I had finished, the recipe morphed into something else….so at the end of the recipe I will put a note to tell you how to make this dessert a little different. 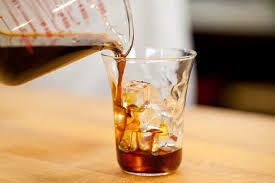 California Girl Comments: She’s right, I do love cold brew coffee and drink it all year long. 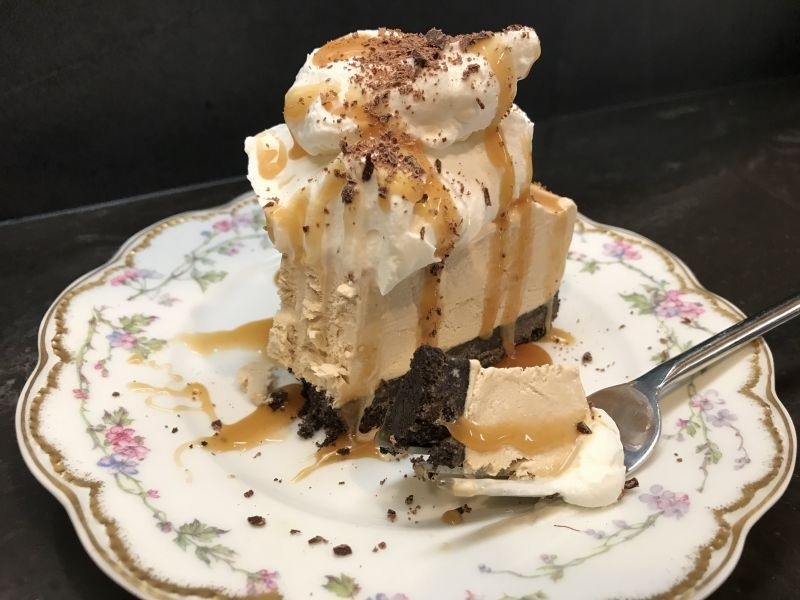 We are big coffee drinkers in our house so of course this dessert is right up my alley. Yummy! My mouth is watering just typing this up for you! 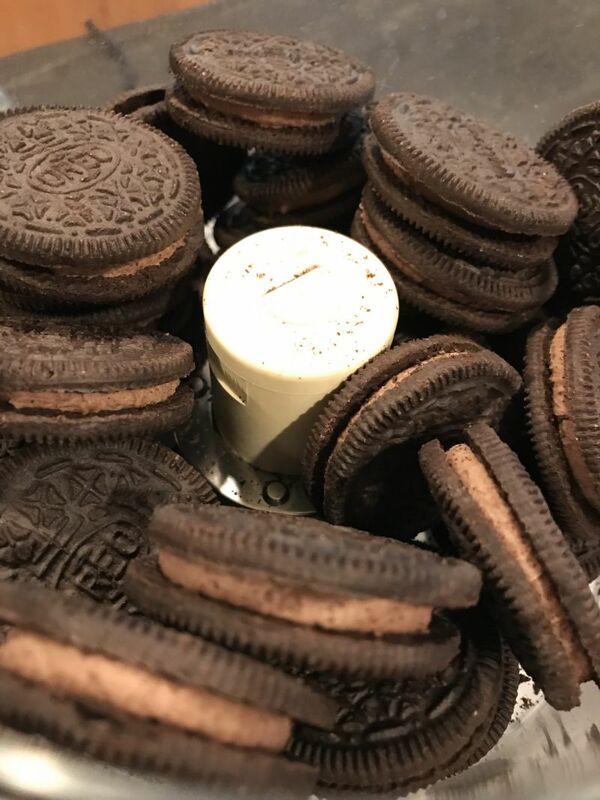 Put all the chocolate cookies in the food processor with the butter and process until it is fine crumbs. 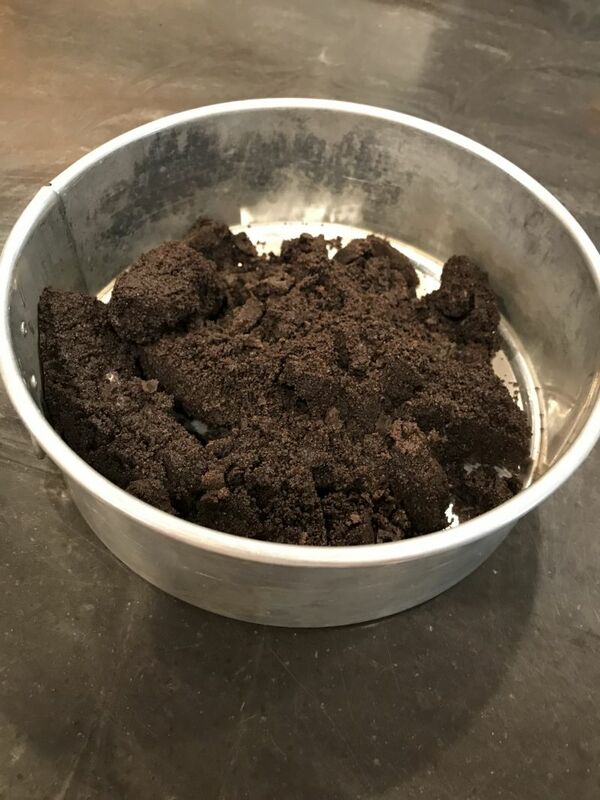 It will look like dirt. Seriously. 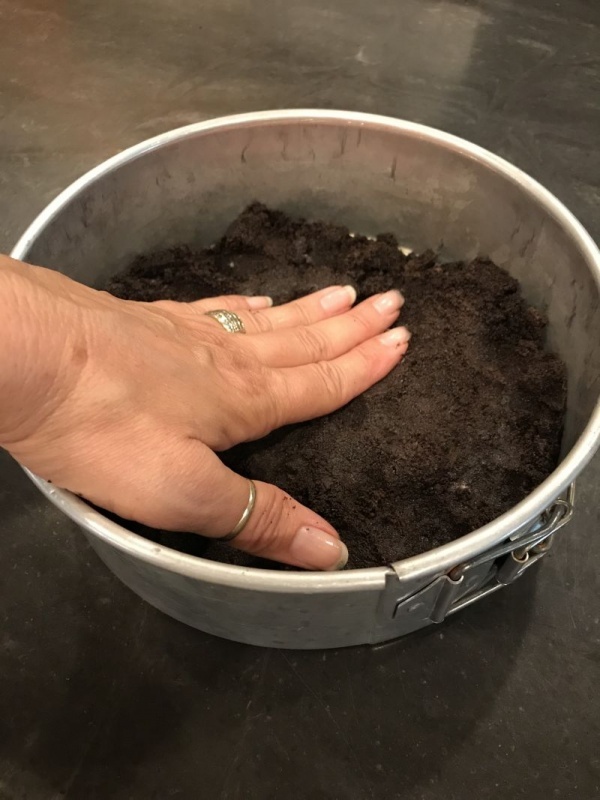 Dump the cookie crumb/butter mixture into 1 deep 8″ or 9″springform pan. 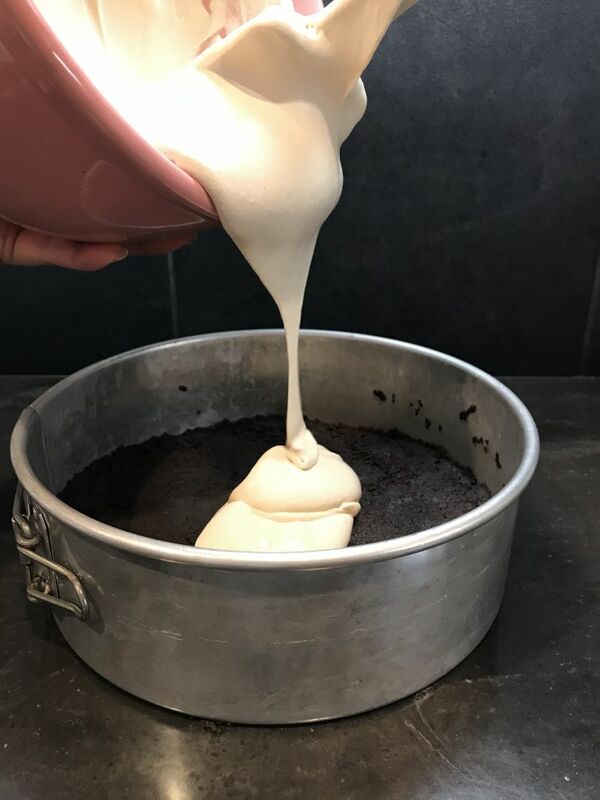 Spread evenly, and either using your hand or a flat-bottomed glass or cup, press the crumb mixture firmly to form a solid base at the bottom of the pan. Set aside. 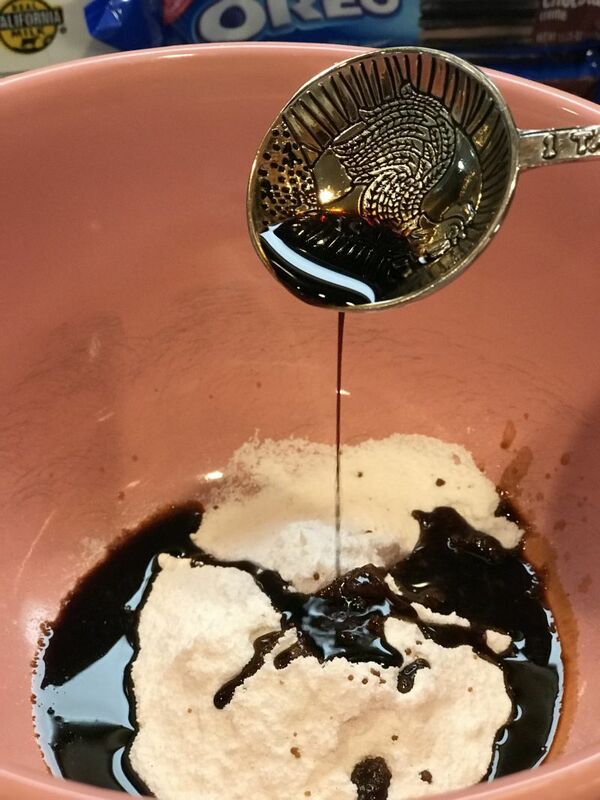 In a large bowl, put the vanilla pudding mix, milk, cold coffee and coffee extract. With an electric mixer or a whisk, mix until smooth and slightly thickened. Make sure there are no lumps! Place in the refrigerator for 5-10 minutes to allow it to set up a bit. This is a good time to clean up the mess you have made so far! 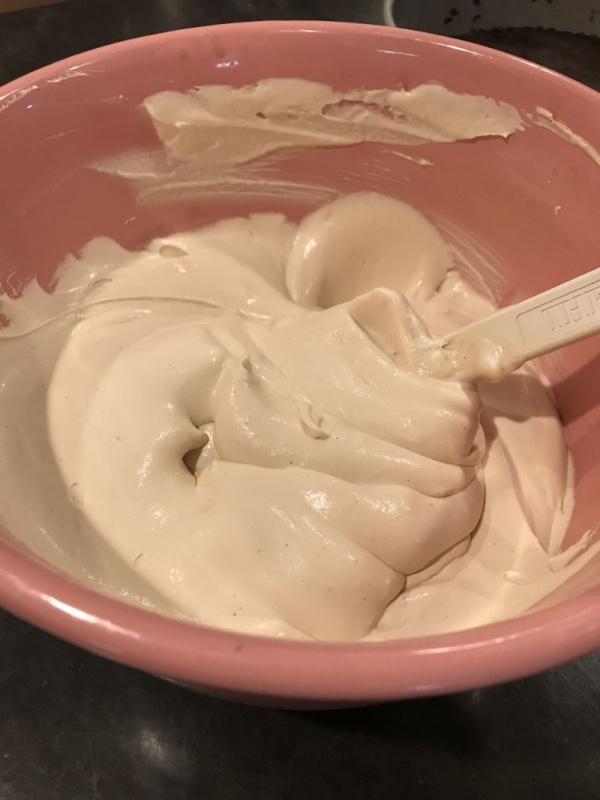 Remove the pudding mixture from the refrigerator and fold in the tub of cool whip. If you would rather make your own whipped cream, you will need 3 cups of it. I honestly just grab the cool whip, because it’s so fast! Once the cool whip is all mixed in evenly, pour this mixture over your chocolate crust. 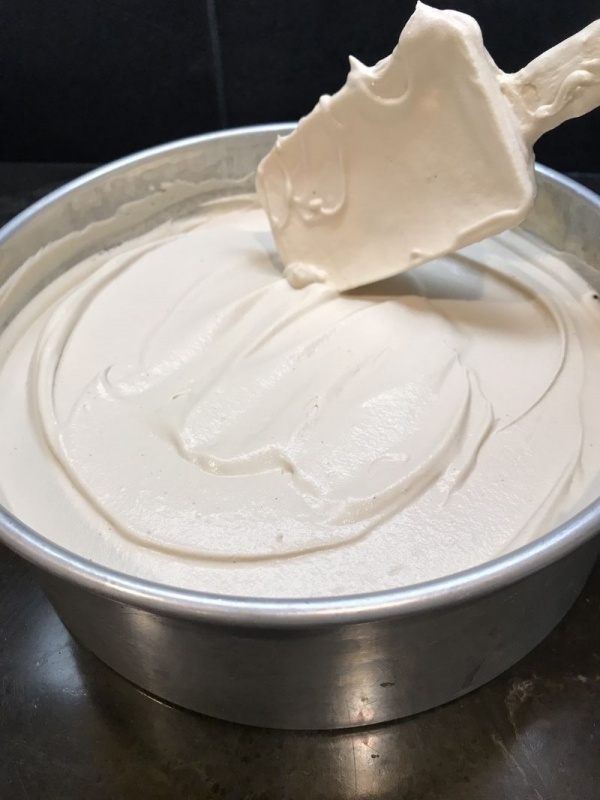 Smooth evenly with a spatula. Cover with foil, and freeze over night or about 6-8 hours. When you are ready to serve, remove the outside form from the spring form pan and cut into wedges. 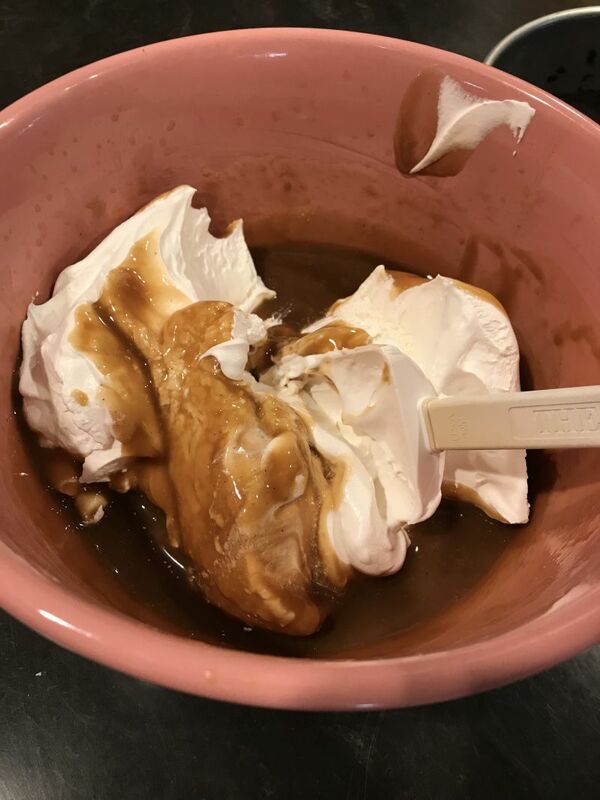 Garnish individually with dollops of whipped cream, drizzle with more caramel sauce and sprinkle with shaved dark chocolate! **remember I said you could make it a different way? 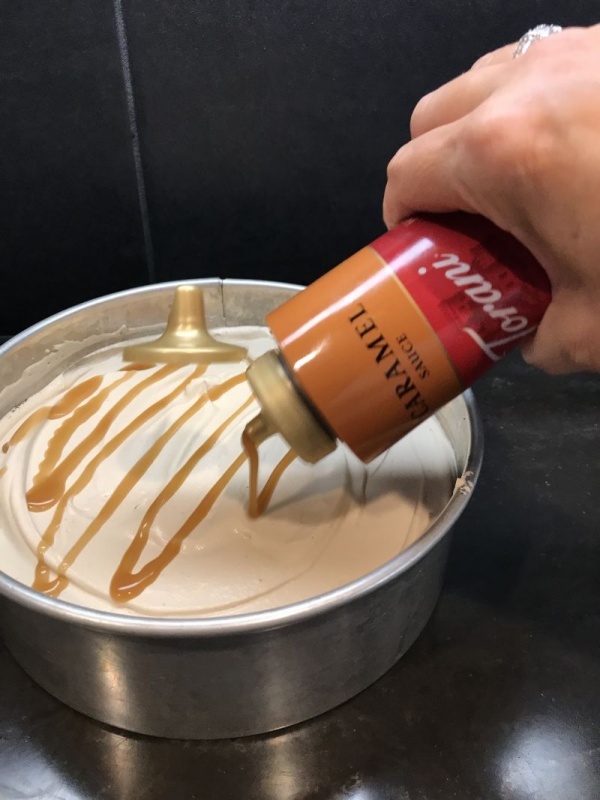 Enjoy this as a simple Whipped Coffee Pie, by not using the caramel sauce. Simply freeze, garnish with whipped cream and shaved chocolate. ***this is going to sound a little gross, but it must be said. If you are someone who tastes as you go along, it is vitally important that you don’t lick the spoon or spatula. It isn’t actually licking the spoon that’s bad, it’s putting it back in the bowl of pudding mixture. The enzymes from your mouth will break down the pudding and you will be left with a soupy mess when the pie thaws out. So, if you are going to “taste test,” grab a separate little spoon and get a little bit to taste, and then toss the spoon in the sink. California Girl Comments: Um I guess I won’t lick the spoon this time then… ha ha. You all have a great week. I am off to the Wine Bloggers Conference in Santa Rosa to learn about new wines, and have some fun. I’ll be live tweeting, and instagramming from there so please follow our accounts on those two platforms Twitter: @napafoodandvine and Instagram: @napafoodandvine to get the latest from us. In the meantime.. happy baking to you. This is beyond decadent but looks so yummy! oh my! That looks so yummy! It is Lori! Very easy to make too! !